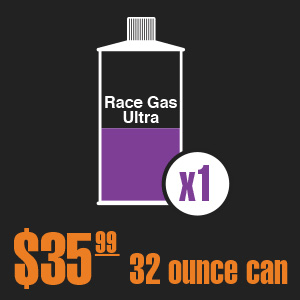 Try our new formula RACE-GAS ULTRA Race Fuel Concentrate! Makes up to 112 octane! 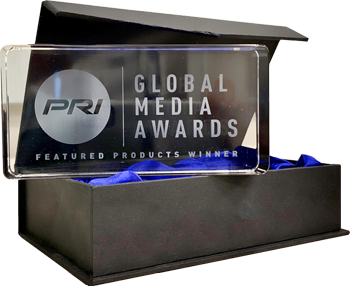 An exclusive group of exhibitors participating in the 2018 PRI Featured Products Showcase were selected by a panel of international journalists to win a 2019 PRI Global Media Award, recognizing their product’s consumer appeal in each judge’s home country. “We are so honored to have won this award. RACE-GAS ULTRA is a very new product that took over three years to develop. To be recognized by PRI and the international media is validation that our hard work paid off”, said Mark Link, President of Motorsports Fuel and Equipment / RACE-GAS. “We would like to thank all of our customers who have supported us over the years. 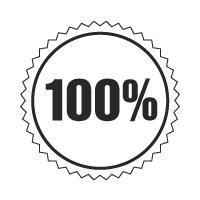 We appreciate your business, loyalty and enthusiasm for RACE-GAS!” said Mark. RACE-GAS ULTRA is specifically designed for the requirements of very high compression, boosted or nitrous engines. 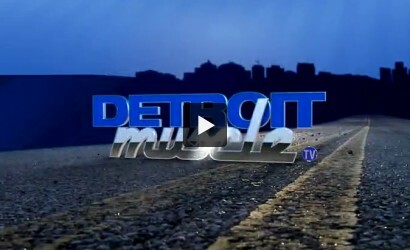 ULTRA, when mixed with pump gasoline, will create racing fuel with octane between 108 and 112 r+m/2. Like our original product, ULTRA increases the octane, chemical oxygen and chemical energy of the fuel to equal commercially distilled racing fuel. 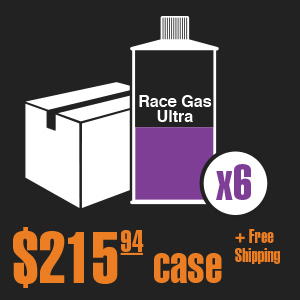 RACE-GAS ULTRA is a much different formula than original RACE-GAS. “In testing we found the requirements of very high compression engines were different than engines with lower compression or lower boost. We needed to create a formula that could achieve the high octane while still meeting our requirements of high chemical energy and high chemical oxygen in a consistent and predictable way. We chose to use the highest quality pharmaceutical grade chemicals and to avoid using alcohols or naphthalene which don’t meet our design standards” said Dan Muldowney. What does a fuel's octane rating mean?  Octane rating is the standard of measure of the performance fuel in an engine. The octane number is an indicator of the fuel's tendency to burn in a controlled manner versus exploding in an uncontrolled manner. Fuels with a high octane rating and withstand higher compression before detonating or "knocking". Higher compression could be from high compression ratio of the piston / cylinder combination, the use of a super charger or turbo charger, or Nitrous oxide injection. What is “detonation / knocking / pinging”? Detonation, (also called knocking or pinging), is when the fuel in the cylinder fires before the completion of the compression stroke. When detonation occurs the flame front of the combustion is uneven across the piston. The net result is the piston will “rattle” from side to side in the cylinder creating the knocking or pinging sound. There are several octane numbers for gasoline. What do they mean and which one should I care about? There are 3 octane ratings commonly used in the US. Research Octane Number (RON), Motor Octane Number (MON) and Anti-Knock Index (AKI or (M+R)/2). Let's look at each of these individually. 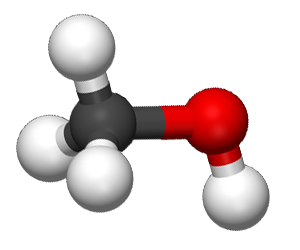 Research Octane Number (RON): RON is the "laboratory" measurement of octane. The octane number is determined by running the fuel in a CRF Test Engine and varying the compression of the engine until the fuel "detonates" or Knocks. The engine is not under "load" and as a result RON numbers generally run higher than the other octane numbers. 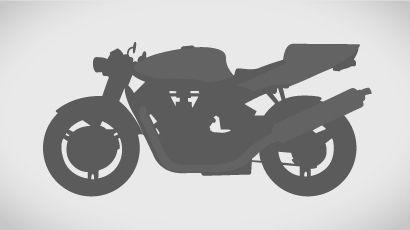 Motor Octane Number (MON) is measured using the same CRF engine test however the engine is placed under a "Load" of 900 RPM. 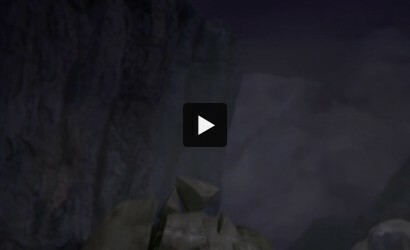 This test is a better indication of octane because it better simulates the octane in a real world setting, i.e. under load. MON numbers run lower than RON numbers. AKI or (R+M)/2 is the Anti-Knock Index. This number is the average of the MON and RON numbers. This number is the most important because it averages the octane under load and at idle. This is the number that you should care most about. When a car company or an engine builder specifies a fuel's octane number for an engine, AKI is the number they are referring to. When someone refers to a "point of octane" what specifically do they mean? The scale of octane is a point of confusion for even seasoned motor sports enthusiasts and is a very important issue when evaluating octane enhancement products. A point of octane is 1/10 of an octane number. For example if you increase the octane of 87 pump gas by 8 "points" you are increasing the octane to 87.8. Many consumers see products on the shelf that promise to raise the octane by "10 points" and think that it will raise the octane by 10 octane numbers. That is not the case.  Other suppliers rely on this confusion to sell their products. Don't be fooled! How is RACE GAS different than octane boost products? First, octane boosters only add a few points of octane and cannot raise the octane of pump gas to that of racing fuel. What many people don't know is that a point of octane is 1/10 of an octane number. For example, if an octane booster says it raises octane by 9 points and it is blended with 87 octane fuel the final octane number will be 87.9 not 96. Second, octane boosters will raise the octane they don't increase the chemical energy of pump gas. This is because they are not adding the high quality fuel aromatics that are used in RACE GAS. As a result your engine will not "ping" but it will not generate as much power as it would using RACE GAS. I can't get high octane gas for my boat at the marina. 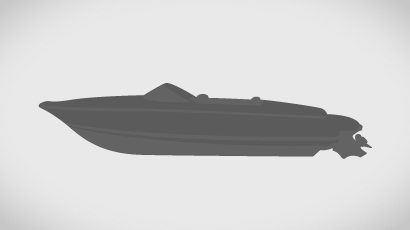 Can I use RACE GAS in my boat? Why not just use aviation gas in my high performance engine? There are two major factors that go into the formulation of aviation gasoline. First is altitude. Aviation gasoline is blended with specific hydrocarbons to target engine operation altitudes of 10,000 feet or more. Some of these hydrocarbons are detrimental to a high performance engine operating at much lower altitude and will degrade performance. Secondly, aircraft engines don't run at high RPM loads under normal operation. An aircraft at cruise might be turning at 2,500 to 3,000 RPM, significantly lower than the 5,000 to 9,000 red line typically seen in an automobile engine. Aviation fuel is blended to balance performance and economy at these low engine loads and as a result will not be as effective at high engine load. One other issue that should be considered with aviation fuel is the use of lead. 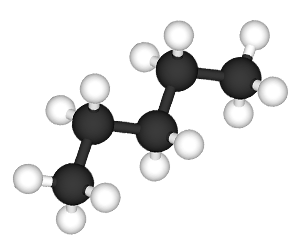 Tetraethyl Lead is used in aviation gasoline to increase the octane, (even in so called "Low Lead" or LL fuels). Lead will damage O2 sensors and catalytic converters which can be expensive to replace. 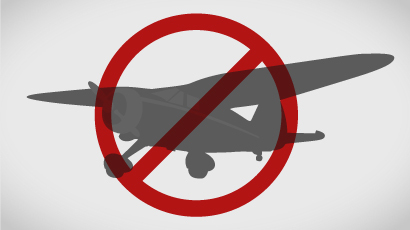 Lastly, it is illegal to pump aviation fuel into anything that is not an Aircraft. Why not use jet fuel in my car? Jet fuel is more like diesel fuel than gasoline. It is designed to be burned in turbine engines at very high operating temperatures. Jet fuel would seriously damage your engine assuming that you could even get it to fire up in the first place! I have heard that "ethanol" based fuels like E85 and E15 have very high octane ratings. Why not just use those fuels? "Ethanol" based fuels do have a high octane they also have lower chemical energy than regular pump gas. As a result your engine must be tuned to accommodate the decrease in chemical energy by increasing fuel flow, either through changes to fuel injection or carburetor jet size. On average you will need 30% to 40% more fuel to equal the chemical energy of non-ethanol fuels. In addition, ethanol based fuels can have negative effect on your fuel system and engine. Ethanol will degrade components in the fuel system like fuel pumps and seals. Ethanol will also promote corrosion in the fuel system and exhaust system. Will RACE GAS harm my O2 sensors or catalytic converter? No. RACE GAS does not contain lead or other additives that can harm O2 sensors or catalytic converters. I noticed that my spark plugs have an orange dust on them after running RACE-GAS in my tank. Are my plugs fouled or scorched? No! The dust you are seeing is the bi-product of burning fuel with manganese. This dust does not affect plug or exhaust components in any way. If you are old enough to remember burning leaded fuel, or look at the plugs from someone burning leaded racing fuel, you will see a greyish white dust on the plugs and exhaust pipes. This is the bi-product burning leaded fuels. This dust has no effect on plug performance and will not damage the engine either. To insure that this dust doesn’t affect engine performance we have been burning fuel blended with RACE-GAS in many cars for the last 3 years. We have added RACE-GAS to every fill up in a Toyota, BMW, VW, Porsche and a Ford for 3 years with no negative effect on the plugs, catalytic converter or O2 sensors. In addition we have 3 race cars with an average of 140 race hours on them using RACE-GAS and have seen no issues. Lastly Tesar Engineering ran 3 Mustangs in the 2,000 Carrera Pan Americano using Mexican pump gas blended with RACE-GAS with no problems and great performance, (See the Testimonials page to read the full story). If a little RACE GAS is good, wouldn't a lot be even better? No! It is possible to "over octane" an engine. While the effects on the engine are less than "under octane", the engine will not perform as well as it would with the right octane fuel. 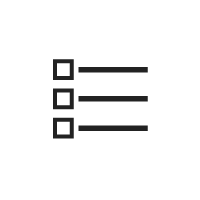 We encourage our customers to talk with their engine builder or people with similar engine configuration to determine the "right octane" for your car. The chart below represents a good estimate of octane requirements by compression ratio. It is not specific to your engine so you may want to blend your fuel to an octane number or two higher than what is listed below. It is important to note that the octane numbers above are the "Anti Knock Index" number or (R+M)/2. Will RACE GAS benefit a stock / street car? It depends on the car. High performance cars like a Corvette, Viper, Porsche or BMW and turbo charged cars like a WRX will see improved throttle response and power. Cars with carburetors can be tuned to run RACE GAS and will see more power, (changes will need to be made to the carburetor jets and the timing). 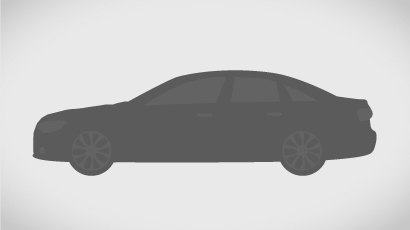 Regular cars like a Chrysler 200, a Ford Focus or a Toyota 4Runner will not see a great deal of improvement. It is important to remember not to "over octane" your engine as this will cause a decrease in performance. “When I was first introduced to RACE-GAS I was a bit skeptical. If you have been around the performance industry for a while you have seen products like this that really didn’t work. What convinced me to try it was the fact that several engine builders who I know had tested it and said it worked. I decided to try the product as it was meant to be used, on the track. I used 87 octane pump gas with RACE-GAS in my NHRA bracket S-10 Drag Truck. Not only did RACE-GAS work, I took home 2 trophies that day! I was sold! 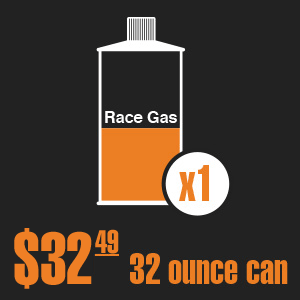 We started selling RACE-GAS to our customers. What we found is RACE-GAS solved a few problems we had. First, many of our customers are in rural areas where racing fuel or even premium pump gas is not available. When we tune customer’s cars we have to account for the fuel that they have available. This doesn’t allow us to get the most we can out of these engines. With RACE-GAS our customers can get the high quality, high octane fuel they need to get the most performance out of their cars. We have a number of customers that keep a can in the trunk so they have what they need whenever and wherever they fill up. The second problem that we solved was the money we were losing by selling racing fuel by the gallon from a drum. What was happening was our staff was filling 5 gallon cans to the top rather than the 5 gallon mark. In essence they were giving away ½ a gallon with every 5 gallon purchase. 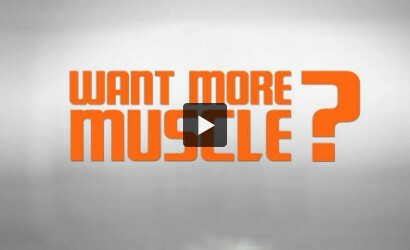 The net result is we ended up giving away hundreds of dollars away each month. “We were first introduced to RACE-GAS by another engine builder in our area. 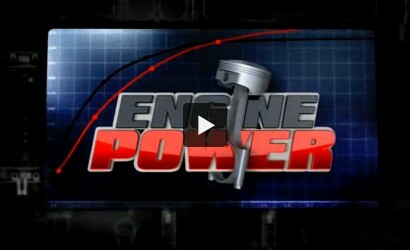 We tested the product in a high compression Ford 302 race engine. We tested RACE-GAS blended in 93 octane pump gas against 111 octane racing fuel. RACE-GAS produced similar results in peak horsepower and torque as the 111. One difference we did notice is that the in the 5700 to 6400 RPM range RACE-GAS produced more torque and horsepower than the 111. We used RACE-GAS in 3 Ford race cars in the 2013 Carrera Panamericana in Mexico. All three cars performed flawlessly for the full 2,000 miles of the race! We are very satisfied with the performance of RACE-GAS and now stock the product for our customers” Gary Tesar. “Over the last 50 years I have been asked to test various lubrication and fuel additive products. With one exception most did not perform as they were intended.  Recently I was hired to test an octane improver. To my surprise it not only worked but was downright impressive. 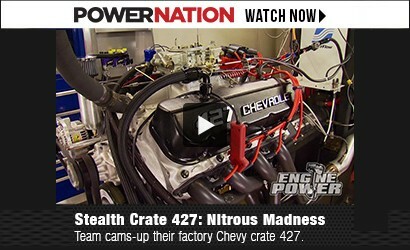 The engine I chose for this test was a motor we built for the Popular Hot Rod Engine Master Challenge. It is a 414 CID LS motor designed to run on 91 octane with power approaching 700 HP. 4 full octane numbers (40 points of octane). RACE GAS wasn't created by some gigantic super company. It was created by gear heads and weekend racers just like you. 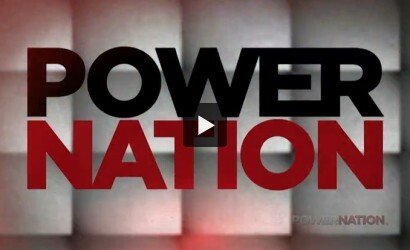 Real Power knows the importance of high quality racing fuel. Find out what racers, street rodders and hobbyists are saying about RACE GAS We've interviewed some of the industries premier experts to see what they're saying about RACE GAS. 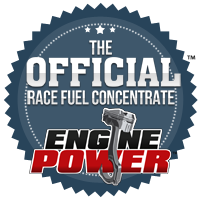 Unlike some other additives, RACE GAS has been rigorously tested by independent laboratories, prominent engine builders, and performance tuners. While Motorsports Fuel and Equipment was founded in 2011, development of its first product started three years earlier with an expensive race engine destroyed by bad racing fuel. While competing in a road course race, our founder burned a hole in the piston of a very expensive flat six motor. 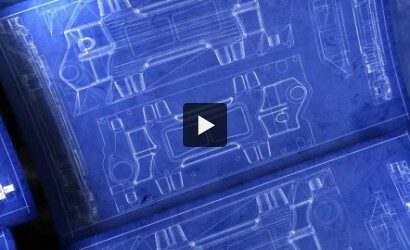 When the engine was torn down there were signs of detonation in each cylinder. Even though the pump at the track stated the fuel was 110 octane, the destroyed engine told a much different story. At this point the search went out to find equipment that could be used to measure the octane of fuel before putting it in the tank. Options were very limited and extremely expensive. As it turns out there really is no easy or inexpensive way to test the octane of race fuel in the field. As a result we began to look at the problem from the other end, the race fuel itself. Due to several changes in federal and Minnesota state law it is nearly impossible to legally transport large quantities of fuel by highway. So our search began for a product that we could add to pump gas to raise the octane and energy to that of race fuel. We found a few products that claim they could raise the octane but couldn't verify or guarantee the octane levels it could achieve. We also found some enthusiast websites that had recipes for "home brew" octane boost. When we analyzed these "home brews" we found that the components in these blends would damage the engine, not raise the octane significantly, or both. Over the course of the next two years, we spoke with hundreds of experts and analyzed hundreds of blends. We created several "test candidates" that were tested by our two independent laboratory partners. After much searching, we finally came up with the one that we thought performed the best. As we moved forward to put this formula into production, the federal government stepped in. Our blend used too much organometallic compounds to be produced legally. While at the time we felt this was a huge setback, it actually turned out to be the giant leap forward. The federal ban caused our several chemists and petrochemical suppliers to formulate the blend that became RACE GAS. When we tested this blend using ASTM D 2699 and 2700 tests, the new formula blended with pump gas produced results better than the formula originally banned by the Government. (See the test results). This blend performed better than anything else we had seen or tested! 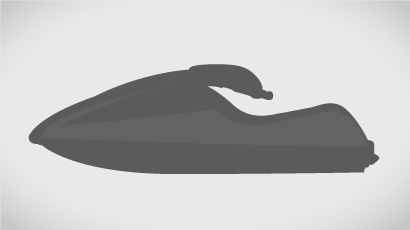 We had found the sweet spot for our product. Since then we have used RACE GAS in everything from a 944 Turbo race car, a modified Audi TT, a Hemi Magnum, a Hemi Challenger, and modified VW R32, a Corvette and many other cars. All demonstrated increases in power, throttle response, and torque, (you can see the dyno test results of many of these cars on our test results page). While we are thrilled to bring RACE GAS to the enthusiast market we are not satisfied there. Over the next year we will be launching several other motor sports products like RACE GAS Leaded formulation, RACE GAS Ctane, and RACE GAS Drag blends. 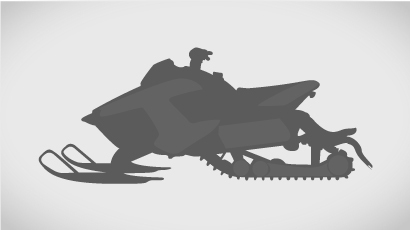 It is our ongoing mission to bring high quality, unique, products to the motor sports market. Use RACE GAS in these vehicles! While the founders all had "real jobs" over the years their true passion has always been motor sports With the development and launch of RACE GAS the new products that are in development they have been able to realize the dream of making their hobby into a career. Dan has over 23 years of sales, marketing and management experience in various industries. Over the last 15 years, Dan has managed business' as large as $117 million in annual revenue and managed teams as large as 22. 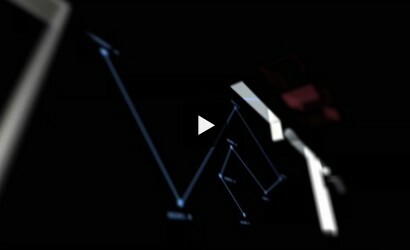 In addition Dan has developed strategic account relationships in eight different countries. 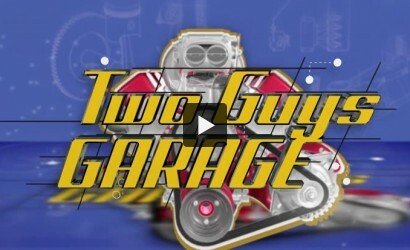 Since the early 1980's, Dan has been an avid motor sports enthusiast. 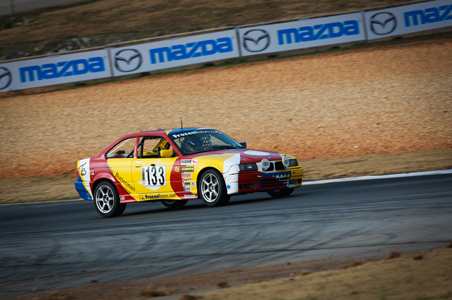 Dan started out as a teenager driving a 4-cylinder 914 in parking lot auto cross events. 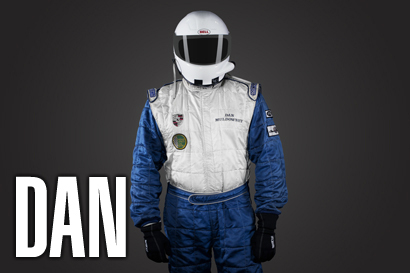 Since then Dan has participated in many high speed events ranging from DE, Time Trial, Autocross and Road Course Racing. Dan has owned three purpose-built race cars and has participated in PCA, Vintage, and NASA, road racing events throughout the United States. 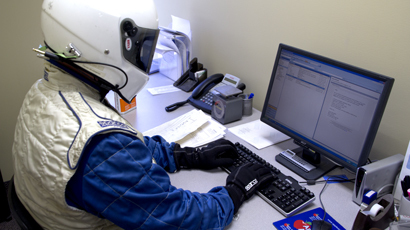 Dan is currently an instructor for the Performance Driving School at Brainerd International Raceway. Mark's background as an entrepreneur goes back over 20 years, the last 15 of which were in the automotive after market. 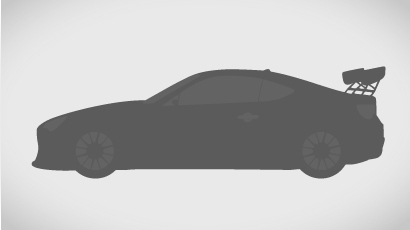 Mark has extensive experience in the automotive after market and motor sports markets alike. Mark has been a "track rat" for the last 15 years participating in Time Trial, DE and Road Racing. Most recently Mark and his team Tubby Butterman Racing won the 2012 regional championship in the regional ChumpCar World Series. 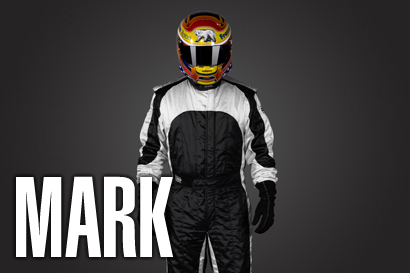 Mark campaigns his BMWS in various other driving events and competition. 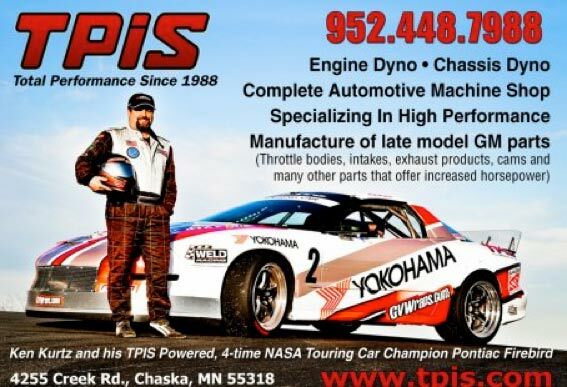 Mark is also an instructor at the Performance Driving School at Brainerd International Raceway. With RACE GAS you can make your own racing fuel using Pump gas. No Fuss, no muss, no bother, no illegal hauling of 55 gal drums of Race Fuel. Make what you need, when you need it, how much you need, with minimal waste. After Blowing 2 engines because of “Bad Gas” obtained at race tracks Dan decided there had to be a better way to obtain a known proper octane Fuel for his race cars. After a couple years of research, testing and retesting RACE GAS was born. Race gas contains many chemicals that fall into three primary groups Fuel Hydrocarbons, Oxygenate, and Organometallic Compounds. Each group of compounds is found in typical gasoline. 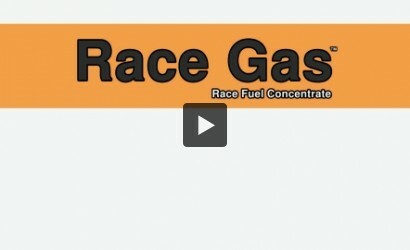 What makes RACE GAS different are the individual chemicals that were chosen from each group. While our exact recipe is proprietary (patent pending) we can share the family of compounds used and their relative properties. Put simply, fuel hydrocarbons are compounds that contain both carbon and hydrogen that, when oxidized (burned), produce water and carbon dioxide. Saturated hydrocarbons have a high octane rating and contain additional carbon atoms which produce more energy during combustion. When combined with certain organometallic compounds, the fuel hydrocarbons in RACE GAS have synergistic effect to produce higher octane ratings than if they are used alone. Oxygenates are one of the most misunderstood compounds in gasoline. While many have heard of the negative effects of oxygenates like Ethanol and Methanol not all oxygenates are created equal. Oxygenates play a very important role in high octane gasoline. Like the name suggests oxygenates add oxygen to gasoline. By adding an oxygenate to RACE GAS, it adds crucial oxygen to the fuel which, in turn, creates more efficient combustion and the fuel is burned more completely. This allows the advantage of more energy released by the fuel's combustion of the additional carbon atoms added by the hydrocarbons found in RACE GAS. The net result is more horsepower! The oxygenates that are used in RACE GAS are not derived from alcohol (like methanol or ethanol) and therefor do not damage fuel system or engine components. 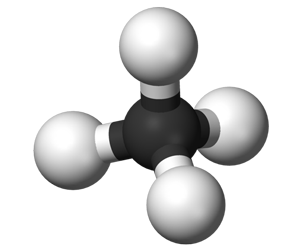 Organometallic compounds are added to gasoline to increase the octane of the fuel. Up until recently, tetra ethyl lead was used in gasoline for this purpose. In addition lead was used as a lubricant on older engines that didn't have hardened valve seats. The problem with lead in gasoline, (other than the environmental effects), was the fact that scavenger compounds needed to be added to gas in order to keep the lead from creating deposits on pistons and cylinder heads. When the US Government banned lead in gasoline, refiners turned to other metallic compounds like manganese, iron, nickel and magnesium. We believe that manganese has the best effect on octane and the synergistic effect with the other compounds found in RACE GAS. As a result RACE GAS contains the highest quality methylcyclopentadienyl manganese tricarbonyl or MMT. 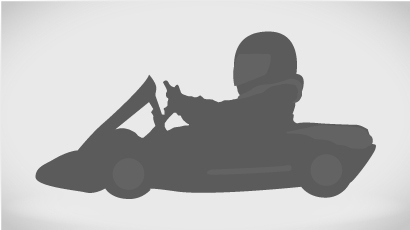 View a list of our RACE GAS resellers. 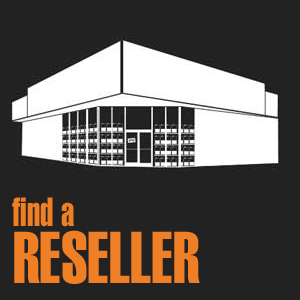 Can't find a reseller close to you? Contact usContact us today to get information about our growing list of resellers or how to be a reseller in your area. 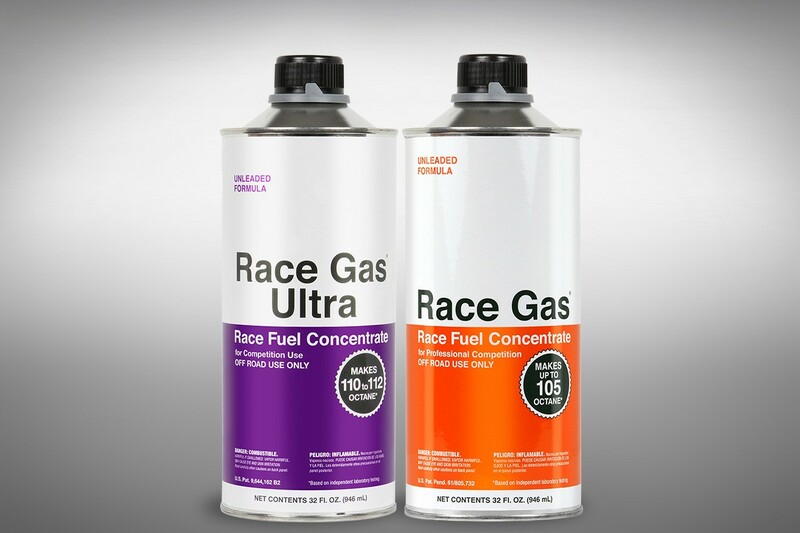 Have you tried RACE GAS ? 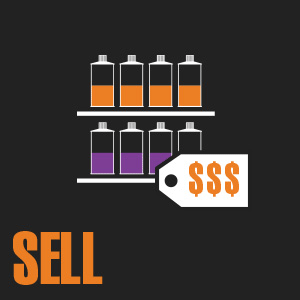 Do you want to become a reseller? Contact usContact us to get all the details about how to offer RACE GAS at your store. Motorsports Fuel and Equipment Inc.